An electrical bus system is disclosed in which first and second bus bar assemblies are provided for conducting electrical currents of respective first and second polarities. A bus duct enclosure is provided for enclosing the bus bar assemblies. The bus duct enclosure is adapted to provide a heat dissipative configuration. In one aspect of the invention, the bus duct enclosure can be formed of a substantially polycarbonate material, for providing conductive heat dissipation from the bus bar assemblies. 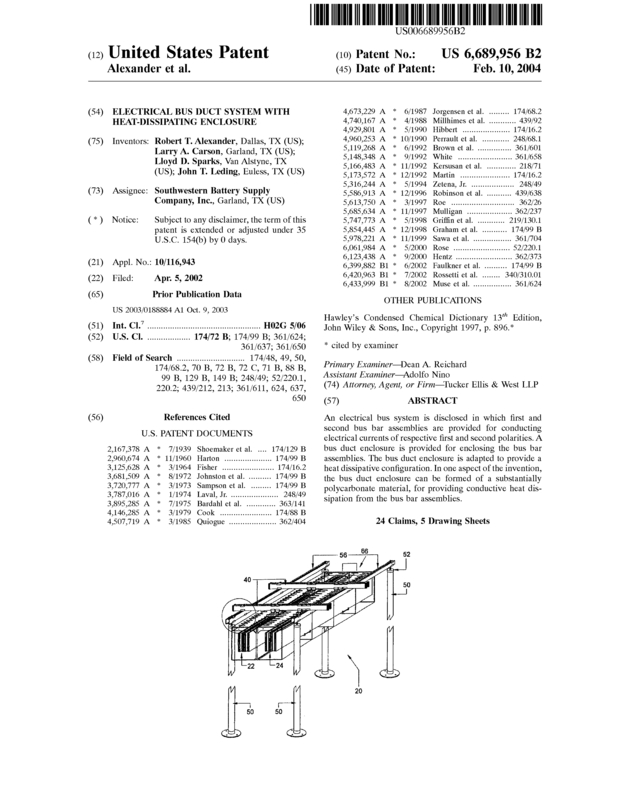 Page created at 2019-04-22 14:10:44, Patent Auction Time.